So I began doing research on branding. I was ready to give up again, but this time I knew branding was important for credibility and building relationships. I realized my own fuzzy brand was confusing prospects and driving people off my list. So I analyzed successful business owners and compared them to those who were struggling. And I noticed that people who were successful had a branding strategy … even if they didn’t realize they did. If you experience one or more of these symptoms, chances are you need a brand makeover. Without fixing the branding problem, you’ll keep working and won’t see the results you’d hoped for. For instance, you might keep chasing after names to put on your list; they’ll hop on and then hop off again at the next stop. Sometimes you’ll realize you need a rebrand after you’ve achieved success. That’s because your brand is not a lifetime commitment or a magic potion. Expect your brand to change as your business grows, as you evolve professionally or as you just decide to move in new directions. Don’t be surprised when well-known marketers and competitors seem to have no brand or have a bizarre brand name. After all, a brand is much more than a name. Some people succeed in spite of their brand names. I know at least two very successful consultants who named their business after foods. They are successful because they send consistent messages and they’re authentic. 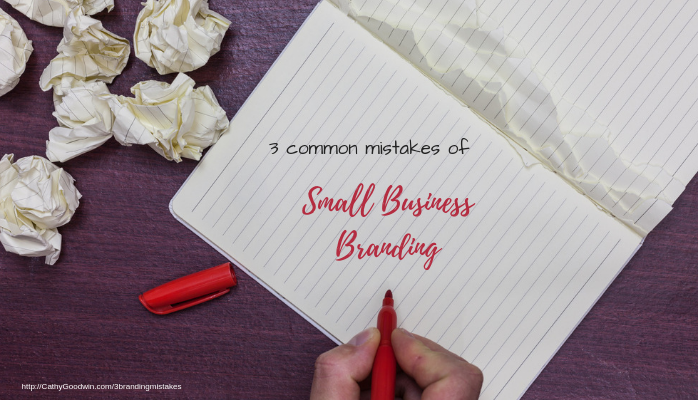 Mistake #1: Branding from the outside in. In other words, it’s thinking a brand is about a logo, colors and graphics. The truth is: Branding can be invisible. Some business owners don’t think they have a brand – just a name – but they have a very consistent, recognizable writing style as well as a unique philosophy, approach and set of values. Branding keeps you from following someone else. For instance, I know someone who shoots off 20 to 30 tweets a day on Twitter. She gets great response. What works isn’t the number, topic or even wording of tweets: it’s the fact that she’s built a likable brand and a special relationship with her followers. Mistake #2: Branding on something that’s about you … and not relevant to your client. Every so often we see people who brand themselves as, “The Curly Haired Coach,” “The Red-Headed Accountant” or some other personal quality. Some coaches advised me to brand as “Amazing Copywriter” or “Expert Copywriting.” These brands focus on you – not your clients or prospects. Hopefully nobody cares if you have curly or straight hair. 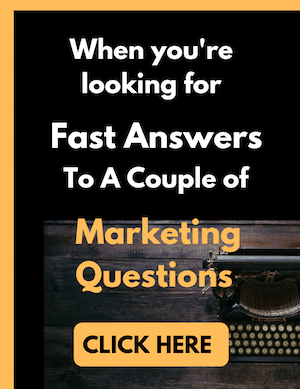 We recognize the disconnect as soon as we bring out the copywriting tools. In fact, sometimes the process of writing copy is so powerful, I call it “Copy Branding:” copywriting to create and support your brand, and branding as the foundation and inspiration for your copy. Branding and copywriting go together. When I work with clients, we always begin with a strategy session. Even when we never say the word “brand,” we often uncover an invisible brand along the way. Branding by story allows you to skip these mistakes. By definition, your story will be unique and memorable. Once you’ve identified your branding story, creating your marketing materials becomes a piece of cake. But you can’t just pick a story and start branding. To reach your audience, your story starts with strategy and it’s designed to match your brand. For instance, one well-known marketer brands herself with a story of, “If I can do it, you can too. I can teach anyone to do what I do.” She’s got stories of how she conquered challenges even when she lacked advantages of her competitors. She also shares stories of how she helped people who were way behind the starting line when they decided to build a business. Another marketer emphasizes education. He teaches his followers and clients how to accomplish very specific marketing goals. He doesn’t tell stories about himself; he shares stories that clarify the concepts he wants to explain. His story exemplifies his teaching role. Most solo-preneur brands fit into one of five categories. I call them personas or archetypes. eOf course some people don’t fit neatly into these categories. Some change and evolve over time. By starting with a story that fits your category, you’re ready for everything from sales pages to lead magnets to elevator pitches. Learn more about how to use stories for your branding when you’re a service business. Click here to download a summary of the top 5 story archetypes used by successful business owners. If you’d like to work with me to find your story archetype, strengthen your message and create content that aligns with your brand, let’s talk. Click here to learn more about the Story Consultation.